Huawei has slowly been growing as a smartphone company over the years and lately they have really started to get serious about things. The company branched out a sub-brand with Honor, has been working with wireless carriers in the United States, and continues to focus on their own in-house SoC from the fabless semiconductor company HiSilicon. Recently, the company has been encroaching on Apple’s marketshare and was actually able to sell more during the months of June and July. At least, that is how things look when we view some data that was published by Counterpoint Research. As shown in the graph below, Apple has slowly been selling less and less smartphones since December of last year. This is common though as they always go through a slump of sales during the lead up to the next iPhone. 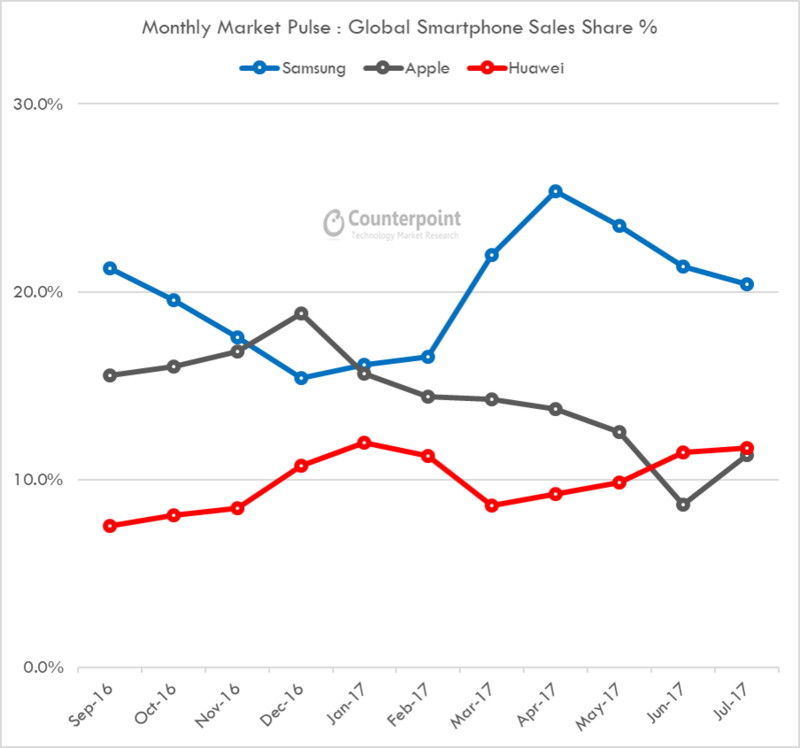 Still, data from Counterpoint Research shows Apple’s global smartphone sales was over 15% in September of last year and July of this year shows it closer to 11%. Interestingly enough, Samsung has also seen a downtrend of smartphone sales from April all the way to July, but will likely kick back up once the company releases the Galaxy Note 8. During this timeframe though, we’re seeing Huawei step up and increasing smartphone sales month after month since March of this year. Throughout June and July, Huawei was able to sell more smartphones than Apple and current data shows sales were strong last month as well. Huawei still has a lot of work to do in order to penetrate the North America and Indian markets though, but this is something they’re aware of and working on. 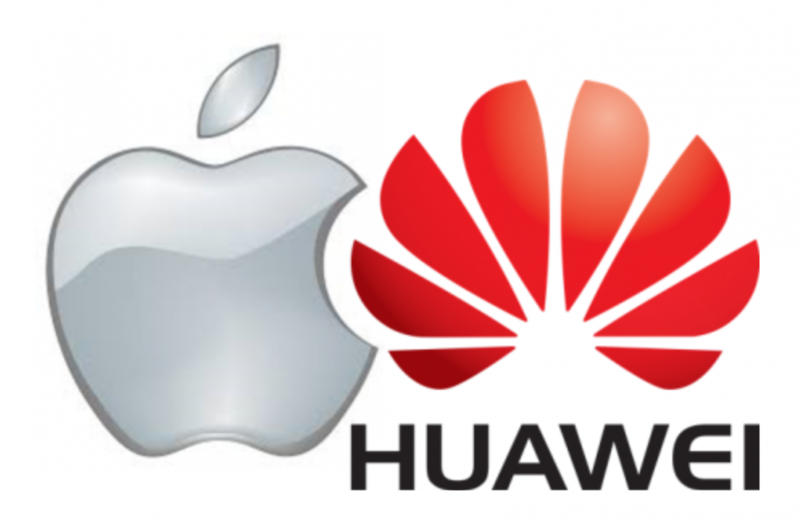 Because of these weak markets, it will be easy for Apple to regain this number two position from Huawei once they release their upcoming iPhone later this year. We’ll just have to wait and see how long Apple can maintain that lead as Huawei continues expanding and releasing new flagships of their own.